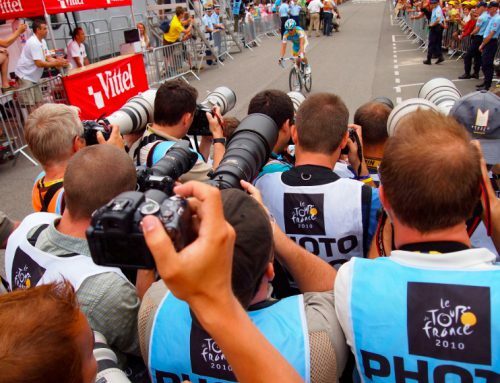 Motor shortage for Saxo Bank in Tour de France? 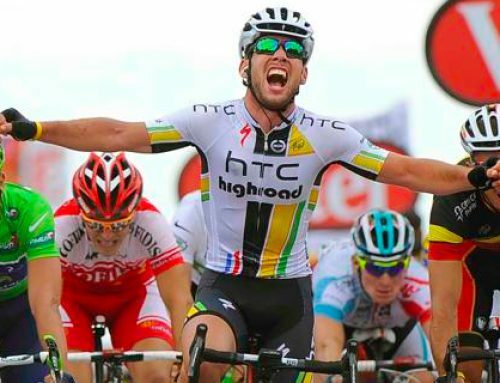 Home/Alberto Contador, Andy Schleck, Saxo Bank, Team Leopard-Trek, Tour de France/Motor shortage for Saxo Bank in Tour de France? Will Alberto Contador’s Saxo Bank team have enough horsepower to help him win another Tour de France? While some experts think the Giro-Tour double will be tough for even the Spaniard to pull off, rival Andy Schleck believes Contador has the legs. What he does question is whether Contador’s Giro-weary teammates can handle that kind of massive workload. It’s the other 16 legs that are the possible weakness. That’s bold talk and an argument with some merit. Jesus Hernandez, Daniel Navarro and Richie Porte all rode for Contador in what was a brutally difficult Giro. If Contador said one of those stages was the hardest day of his life on the bike, you have to wonder how well Porte and the Spanish mountain goats will recover from those super inhuman efforts. Schleck has to feel confident remembering how poorly Ivan Basso and Bradley Wiggins fared in last year’s Tour de France after they suffered through a long and agonizing Giro. Wiggins finally admitted that he came into the Tour last year knowing he was wiped out, his legs close to dead. Then again, it’s dangerous and perhaps unwise to make any claims about the weakness of Contador’s squad. When Johan Bruyneel and Lance Armstrong stripped the Astana roster for their new Radio Shack squad, the thinking was that Alberto would have nobody around to give him a hand and a water bottle. 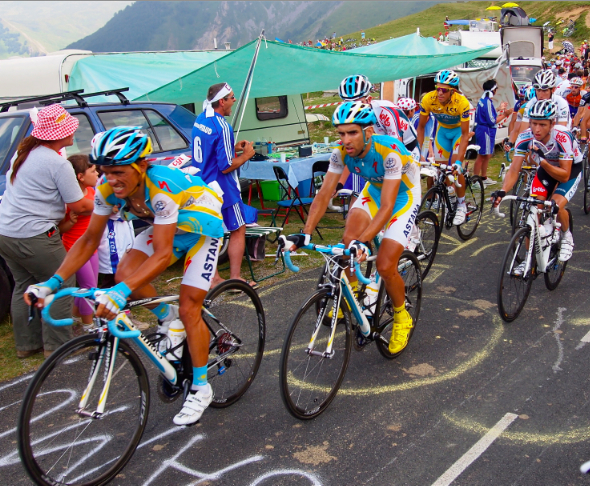 Instead, Astana put on a dominant performance day after day in the high mountains. We’re thinking that Saxo Bank will be just fine, Giro or no Giro. Andy says he’s reassured, at his ideal weight and 100% ready. He’s not going to win the Tour because Contador’s domestiques are a little worn out. Andy Schleck better be ready to motor. Good post, it would be even better with a "be" in the last sentence. I really don't believe that Alberto's team is going to play that much of a deciding factor. AC will easily sit on Saxo's train and will wait until they have shredded their men on front; only to attack right before Andy and Frank's tempo surges. 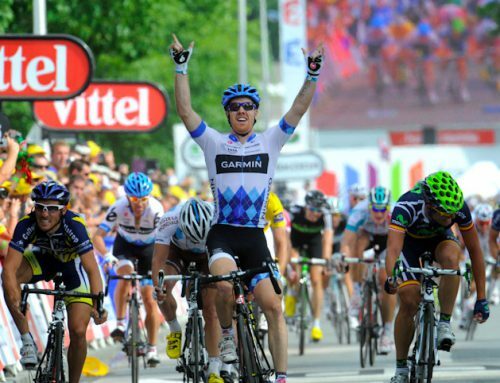 I only wish he had been cleared of his doping allegation so I could watch and enjoy his brilliance. Sorry meant to say AC will sit on Leopard's train. In general, I really enjoy Twisted Spoke because it's actually good. That makes it all the more infuriating when I read things like the final paragraph and the rhythm of the piece is ruined. In the final paragraph, you establish Andy as a subject in the second sentence, then use a pronoun in the next sentence that can't represent Andy without making the statement illogical. It's a subtle mistake and I'm sure I understand your intended meaning, but it's the kind of thing that distracts attention from the rest of the article. Nevermind. There's a different intended meaning, but that's awkward as well.